Prenatal tests include a host of routine evaluations to help ensure the healthy progression of your pregnancy. The board-certified MFMs at TLC Perinatal PA in Silver Spring, Germantown, and Hagerstown, Maryland, provides comprehensive prenatal testing, based on your personal needs. You can schedule your prenatal evaluation and testing by clicking on the online scheduler or by calling your nearest office directly. Why do I need prenatal testing? Some of these tests, as well as other types of prenatal testing, are designed to screen for or rule out problems that arise during pregnancy. Other prenatal evaluations are needed to diagnose conditions or issues, or simply to ensure that you’re having a healthy pregnancy. 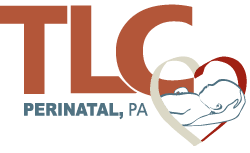 In any case, the caring practitioners at TLC Perinatal PA can perform all types of prenatal tests right in house. This way, your dedicated OB/GYN gets your results quickly. Which prenatal tests do I need? Plus, your caring practitioner is likely going to slip a cuff on you and check your blood pressure every time you come in for a visit to ensure your blood pressure isn’t on the rise — or treat you if it is. How often do I need prenatal testing? The frequency of your prenatal testing and which types of evaluations you need depend on you. It’s common to need to go through a series of prenatal testing at the beginning of your pregnancy. As your pregnancy progresses, you go through some types of testing at almost every prenatal evaluation at TLC Perinatal PA. For instance, it’s common to request blood draws or a urine sample at your monthly visits that occur during your second trimester. If you have a high-risk pregnancy, for example, if you’re over age 35 or have gestational diabetes, your dedicated MFM at TLC Perinatal PA might want to see you more frequently and might want to perform certain tests more regularly as compared with a healthy pregnancy. Book your prenatal testing exam at TLC Perinatal PA today. Click on the online booking feature or call your most convenient office.